Lucy Byatt joined Hospitalfield as director in September 2012. She has devised a public programme based on supporting artists through residency opportunities and the development of new commissions made for the programme at Hospitalfield and for public platforms elsewhere across the world. This emphasis is placed at a time when institutions tend to forget that artists, at whatever stage they are in their careers, need time and space to make new work and the opportunity to fail in order to succeed. Byatt directs a public programme that reflects a strong commitment to working with contemporary artists as well as the care of, and engagement with Hospitalfield’s fascinating heritage and collections. 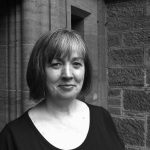 Her priority is to establish an effective interdisciplinary programme, rooted in the visual arts, that is continuously broadening its engagement with people living and working in the region of Angus whilst continuing to sustain an international focus. Byatt leads on Hospitalfield’s Future Plan, a capital development that will see major investment towards making Hospitalfield a fit for purpose resource for artists and audiences to enjoy. The investment will make Hospitalfield a destination, open to the public and a financially sustainable organisation with a strong mixed economy. In 2015 Byatt curated Scotland and Venice working with Graham Fagen who made a major new commission for the 56th Venice Biennialle. Since 2013 she has been a board member of Matt’s Gallery. London. Prior to taking the post at Hospitalfield she was Head of National Programmes at the Contemporary Art Society, London (2008-2012) Director of Spike Island, Bristol (2002-2008) where she devised and delivered the £2.25m capital development and led the corresponding organisational change which included opening the new galleries to the public for the first time. 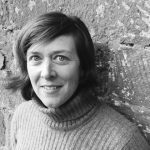 Between 1996 and 2002 she developed many significant artist’s commissions during her time as director of two independent public art commissioning organisations in Glasgow; Visual Art Projects and The Centre. She completed an undergraduate degree in fine art at Brighton Polytechnic (1980-83) and her MFA (1993-95) at Glasgow School of Art and Concordia University, Montreal, Canada. Scott Byrne manages multiple operational areas at Hospitalfield as General Manager, joining the team in October 2014. 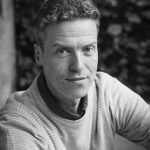 Scott’s professional background is rooted in visual art with formative roles in gallery education, exhibitions management and collections care. Following a BA(Hons) Fine Art (2001) from Duncan of Jordanstone College of Art & Design, Scott went on to gallery education roles at Dundee Contemporary Arts, McManus Galleries and The Fruitmarket Gallery, working with young adults and community groups. He worked as an artist in local authority settings before undertaking a MLitt in Museums & Gallery Studies (2006) at the School of Art History, University of St Andrews. As Exhibitions Officer with the Special Collections Centre at the University of Aberdeen (2011-2014), Scott managed the development and delivery of public exhibition programmes using archive, manuscript, photograph and rare book collections at the Sir Duncan Rice Library. As Exhibitions & Education Officer at Moray Art Centre (2007-2011), Scott was part of the management team delivering the capital development in addition to exhibition and education programmes over two gallery spaces and three studios. In this role, he was responsible for securing and managing the loan of artworks for exhibition from public and private collections including the National Galleries of Scotland, The British Museum and The Courtauld Gallery. Scott is happy to assist and advise on aspects at Hospitalfield including private hire and hospitality, services and facilities, as well as collections and grounds management. 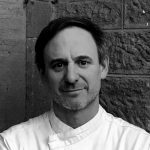 Simon Brown is Hospitalfield’s Chef and Catering Manager. His culinary career began in Brighton’s burgeoning gastro pub scene back in 2000. Since then he has worked in a variety of settings from small cafes like Folk Café in Dundee to large scale corporate catering operations. In 2015 he headed up the team at Darcy Thompson’s that won the Scottish Gastro Pub of the Year Award. An extensive traveller he loves producing globally inspired dishes with as much of our garden vegetables and local produce as possible. 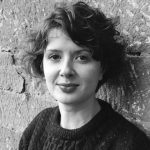 Cicely joined Hospitalfield in February 2019 as Programme & Communications Manager. 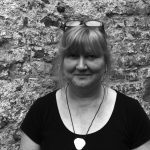 In her role she manages and supports the residencies progammes, leads the team in delivering the open weekends and contributes to programme planning and development. Hospitalfield’s Programme supports the production of new work and the Residencies are for artists to focus on questions, problems and ideas that will have an impact for them now and into the future. Cicely has been working in the visual art sector in Scotland for five years. Between January 2014 – March 2017 she worked at Cooper Gallery at Duncan of Jordanstone College of Art & Design as Curatorial Assistant. Between 2017-19 Cicely worked with artists, scientists and curators on the art and science gallery LifeSpace in the School of Life Sciences at University of Dundee. In her freelance work Cicely has commissioned artists, musicians and dancers to work on performances, workshops and exhibitions in the UK. Cicely previously worked with Hospitalfield in 2017 when she co-programmed the FIELDWORK Summer School with Gordon Douglas. She has a BA in History of Art from University of Leeds and an MA in Curating Contemporary Art from Royal College of Art London. Prior to moving to Scotland, she worked on various projects in the UK and Europe including for the curator Grant Watson, artist Adrian Piper, Chisenhale Gallery and Thomas Dane Gallery. 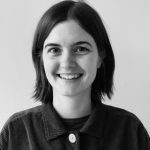 Pippa joined the Hospitalfield team in 2019 to lead the Angus Place Partnership, a three-year funded programme of activity. It links major developments at Hospitalfield and supports an expanded regional programme. 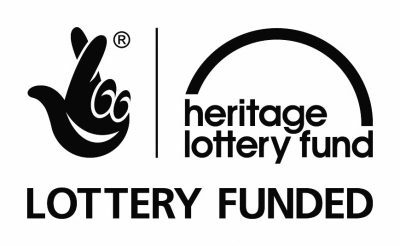 Hospitalfield are working in partnership with Angus Council, Angus Alive, Brechin 2020, Arbroath 2020, to support artists; to strengthen existing and develop new partnerships to make excellent culture part of the identity of Angus. We aim to support a cultural ecology that is diverse and relevant to foster creative expressions and interventions that address the significant challenges that people are facing in the every day. Pippa has worked in the arts and cultural sector spanning over nine years. She has instigated and delivered creative, cultural socially motivated projects and programmes. 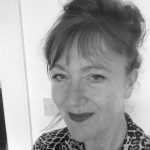 She has a wealth of experience and cross disciplinary skills in contemporary art production, creative collaboration, curating and social enterprise. Previous posts include working as Programme Manager with Grizedale Arts in the Lake District. Central to this role was to regenerate the Coniston Mechanics Institute as a vibrant cultural and community centre connecting the buildings historical links to John Ruskin and the ethos of a valuable function for art. During this time Pippa contributed to high profile exhibitions including Laure Provost Turner Prize exhibition and the Grizedale Arts Retrospective exhibition spanning four venues. Most recently heading up a cross sector arts, cultural and public health initiative in Blackpool. Where she initiated artist led projects in partnership with networks of health and social support providers, commissioned new public realm artworks in partnership with the Blackpool illuminations and as part of major town redevelopments. 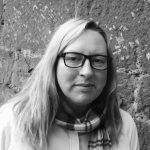 Kirsten Wilson joined Hospitalfield in January 2019 to undertake a new role that focusses on audience engagement and the further development of the volunteer programme. As Hospitalfield grows and becomes ever more public facing this is a key role, ensuring that we are in constant dialogue with our audiences; with families, schools, young people, artists and more. Previous roles include those at Camden Arts Centre, ICA London, Edinburgh International Festival, The Fruitmarket Gallery, Edinburgh and CCA, Glasgow. Kirsten has a strong understanding of charitable public arts organisations, volunteer engagement, horticulture and community gardening. She has a BA(Hons) in Art Philosophy & Contemporary Practice (2008) from Duncan of Jordanstone College of Art and Design, Dundee and is currently studying for an MA in Arts Festival and Cultural Management. Angela Goodrum is responsible for looking after the house and residents including cleaning, preparing for events and assisting at meal times. Sonya Walters is responsible for looking after the house and residents including cleaning, preparing for events and assisting at meal times.